Leave a comment on THIS post by 6 p.m. CT Tuesday, December 15, 2015 to be entered in the DRAWING for a copy of the book below. If you mention in your comment that you’re a follower (see in the left sidebar “Join This Site” and “Follow by Email”), I'll add your name a second time in the drawing. U.S. mailing address required to receive a paper book. I may or may not have read books offered for giveaways. The mention and giveaway of books on my blog does not in any way indicate any manner of my endorsement of said books. Read book giveaway details at Disclaimers. To provide you security, please leave your email address like this: johnATyahooDOTcom. Winner announced in next Thursday's blog post. Canada provides the seed for stories of contemporary inspirational romance. Like many of her characters, Valerie and her family grow much of their own food and are active in the local foods movement as well as their creation-care-centric church. 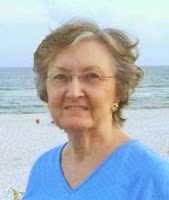 She only hopes her creations enjoy their happily ever afters as much as she does hers, shared with her husband, adult kids, and adorable granddaughters. Welcome, Valerie. What fun or unique things can you tell us about yourself? 1. I'm Canadian… but half my sisters aren't (anymore). 2. 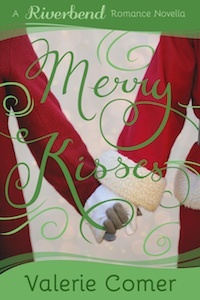 My husband and I are the cover models for Merry Kisses! 3. I've lived on the same farm as cows, goats, sheep, rabbits, geese, chickens, turkeys, pigs, and bees — and dogs and cats, of course — though not all at the same time. Whew! Vancouver Island, off the west coast of Canada. We try to spend a couple of weeks there every year or two. I love sitting by the ocean watching the waves crash in and keeping an eye out for whales. The ocean soothes my soul. Please tell us a little about your novella, Merry Kisses. the over-commercialization of the season and the difficulties of finding a new job. If only she’d actually said Merry Christmas instead of Merry Kisses to the tall, good-looking man buying enough toys for at least a dozen children. How embarrassing! Where can readers purchase Merry Kisses? Merry Kisses is currently available in e-book form on Amazon and via Kindle Unlimited in either its solo form or as part of a Christmas novella box set, Love's Gift. Thanks so much for inviting me over, Jo! I wish all your readers a Christmas filled with God's peace… and gingerbread cookies decorated with small children, as Sonya and Heath experienced in the story. Is there anything sweeter? In Merry Kisses, Sonya examines Christmas traditions that are different from the ones she grew up with. Do you celebrate Christmas the same way your childhood family did? What changes have you made? Valerie, thanks for visiting with my readers and me! One of the commenters will be selected to receive an eBook copy of Merry Kisses, which you've offered. 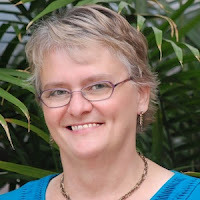 JoAnn Durgin offers an eBook copy of Starlight in Her Eyes to each commenter that left an email address on last Thursday’s blog post: Edward, Karen, Cynthia, Janice, Melanie, and Terrill. JoAnn will email you. Thanks all for commenting. Watch for more book giveaways. Thanks for reading my blog! The next novel in my West Virginia Mountains Series is titled Promise Me. Look for it next spring. Thanks so much for inviting me over, Jo! You're so welcome. My pleasure! Now that I an alone and not near family, all I can do is dream about the past. I celebrate very quietly with my small tree all lit up and lots of candles and music playing. No gifts to open, but I thank God for the greatest gift of His Son. Jan, I grew up opening gifts Christmas Eve, but my husband's family didn't, so... compromise! Nancy, blessings and hugs. I'm so happy you have the BEST gift of all. Great title! There are a few traditions I have carried into my own family. One is the filling of candy stockings for each of us, something my Mom did every year (a tradition handed down to her from HER grandmother). I keep wrapped presents stashed away until everyone is asleep Christmas Eve. Makes for a grander vision that morning, God's abundance to us! Mary, thanks for leaving your comment. Thank You for the ebook from last Thursday!! Karen, you're welcome. Thanks for commenting. Shelia, I appreciate you following my blog! Thanks for leaving your comment.